The BBC says its fixed the issue affecting audio on some of its HD channels, which has caused the loss of surround sound since the beginning of the year. In January, the BBC pulled Dolby 5.1 surround sound from its HD channels after reports of glitching from viewers. Now the BBC has confirmed that it's fixed the fault on BBC Three and BBC Four HD, which "are now switching between 2.0 and 5.1 [surround sound] as necessary." 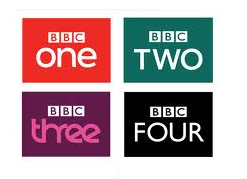 However, there are still ongoing problems in the nations, with BBC One Northern Ireland HD and BBC One Wales HD continuing to be available in Dolby 2.0 stereo only. Tuesday evening film on BBC 1 HD, the film "Box" was transmitted in 5.1 with several sound glitches across the whole duration. I viewed this film on Freeview HD on a Humax HDR T2, recorded it on a Sony HD PVR and also on a Panasonic Freesat HD recorder. All three machines glitched in exactly the same place!! Never had any problems with CH4 HD.